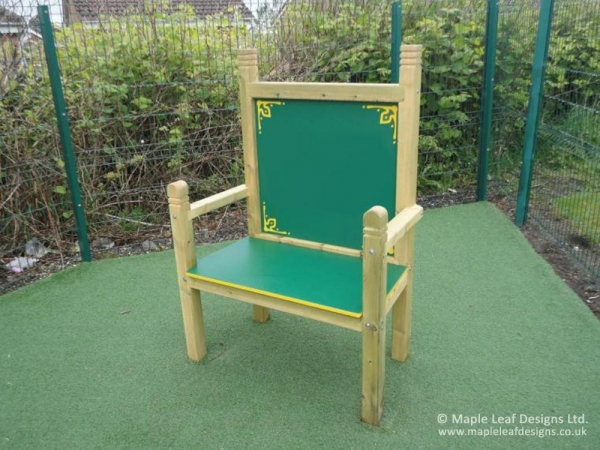 Large HDPE Storytelling Throne | Seating - Maple Leaf Designs Ltd.
For a brighter take on playground benches, our Large HDPE Storytelling Throne is ideal. It’s suitable for two children and available with a variety of different coloured seats and back rests. Its striking design makes it the perfect centrepiece to your playground’s quiet area, and the backboard can be engraved to suit your own bespoke designs.